I've been thinking recently about what my essential, can't-live-without-it, make-up item would be and, if I had to pick just one great thing, what would I choose? (Yes, this is the stuff that fills my mind in-between changing nappies and doing the school run. Epic, I know.) And actually, though I use a handful of make-up products every day, I've figured that the thing I love, without fail, is my eyebrow pencil. Every beauty editor/make-up artist/facialist worth their salt will tell you how your eyebrows 'frame your face' and it's true. It really is. Without them your eyes lose their definition and your face loses its structure and yet some of us still pluck away at them until they're barely-there - only to 'draw' them back in again, as if we're penning birds wings onto our faces, not brows. It's weird, right? I use mine daily purely for filling-in any patchy bits but also, to define their shape, as I was never blessed with the kind of bushy brows that have gained Cara Delevingne her supermodel status - though I envy them hugely. And when I apply mine, I go for light, little 'strokes' rather than 'drawing' anything on or trying to attempt a shape that is completely different to my own. I also add a little bit of length right at the ends. The result is a slight more groomed looking me - that, a little lip colour and sometimes, if I'm lucky, freshly washed and dried hair (okay, that's pushing it a little) and I can face the school run without worry. Please don't listen to people who tell you that you need to spend upwards of £10 to get a good one. 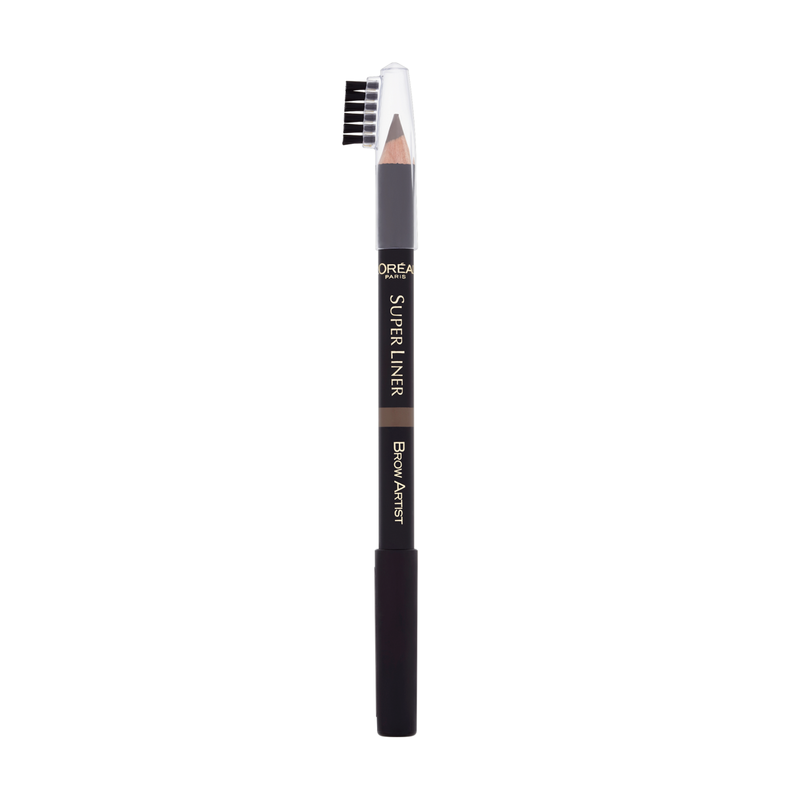 A make-up artist once told me how a certain renowned brow pencil was a brilliant match for pretty much anyone and when I paid up my £17 or so and took it home, I was horrified at how scratchy and well, 'ginger' the colour of it was. Get one that matches your brow colour or is maybe one shade darker for sure but don't opt for black when your hair is light blonde or vice versa. L'Oreal Paris Brow Artiste Eyebrow Pencil, £5.49 is the best I have ever used and just so easy. The pencil is non-scratchy, there's a brush attached for tidying and there's also a wax nib at the other end to help keep stray strands in their place. It comes in three shades and is ridiculously affordable. Job done.